A number of years ago, I remember catching a TV commercial that announced Sunsweet “Dried Plums”, and the healthy joyful life that they enabled. I mused to myself how Sunsweet had taken the prune, a derided fruit only thought to be suitable for the elderly and the constipated, and reintroduced it to the mainstream with a more descriptive, but less negative, name. I wondered how successful it would be. It must have had some degree of success, because it appears Sunsweet has done it again. 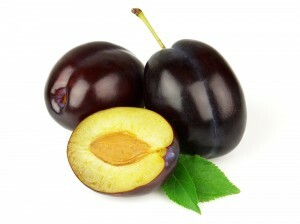 They’ve recently re-re-introduced the prune, this time cast as Plum Amazins. The brand name is brilliant, fun, and catchy, but it makes me wonder when it is appropriate to change a product name, especially when the product has essentially not changed at all. Sunsweet of course claims a revolutionary new drying technology that keeps the Amazins fresh, full of fiber, and with a high “glycemic index” (they’re sugary). Whether or not these prunes are any different from the old prunes, the reality is that the dried fruit has always been tasty, good for you, and multipurpose – so the old rap was just a bad rap. As long as it raises brand awareness for the right product attributes, and results in sales, changing to Plum Amazins seems like a smart marketing decision. Other food product rebrandings have been less successful, because they were done for the wrong reasons. For example, the change last year to “Corn Sugar” from “High Fructose Corn Syrup” was meant to mask the truth that this ingredient is a contributor to obesity, but it did little to change public opinion. We’ve helped to rename a number of brands, either product or company, usually because the old name was too restrictive, or inaccurate to the reality of the brand. For example, when Korn Ferry chose “Careerlink” as the name for its new online recruiting tool, we recommended immediate change. Careerlink sounded more like a job supermarket than like a sophisticated tool for finding young executives. The final name, Futurestep, was a far more appropriate and elastic brand that could grow with the sophistication of the service. For corporations, as well as food products, the key to a successful brand name or identity change is in trying to better reflect your reality, not try to change it. This is where Amazins win and Corn Sugar loses.